Hie Guys, My name is Hemant Sanehi. I'm from Shimla, Himachal Pradesh (India).I completed my Engineering in Information Technology in 2010. I love to make new friends. I love movies, Sports, Music, Games, etc. I love technology and love to be a useful part of it. I want to prove my self in the world of technology. Please be with me and share your fresh and precious ideas with me. Thanks. This is the place where I spent my childhood. I love this place. 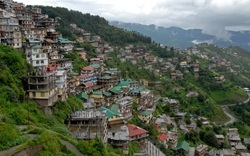 Shimla is also known as queen of hills, it is the most likable tourist Place all over the world. Its very cold over here. This is the most beautiful place I've seen in my life. I love to be here.